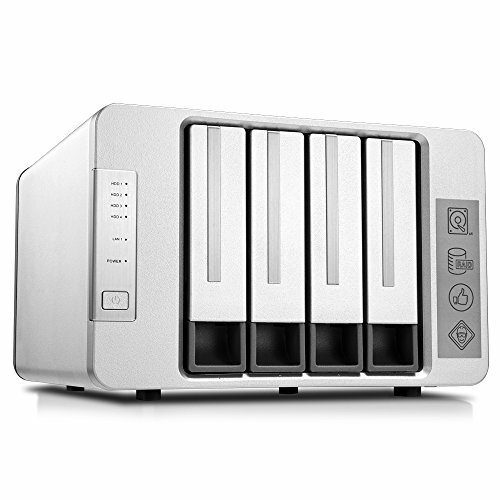 SUPPORTING DIVERSIFIED HARD DRIVES AND MULTIPLE RAID; F4-220 is compatible with 3.5 inch 10TB SATA hard drive and you can install 4 hard drives with total storage capacity of up to 48TB. It supports 3.5 inch SATA hard drive, 2.5 inch SATA hard drive and 2.5 inch SSD. F4-220 supports multiple RAID such as RAID 0, RAID 1, RAID 5, RAID 6, RAID 10, JBOD, SINGLE, thus it can provide various applications for users and guarantee more data security.